I’ve been neglecting this webpage. I’ve been neglecting my tours. I’ve been busy with my other blog about my life, Matingas.com and on furthering my career as a writer. I still get a bunch of views and emails, resulting in several tours throughout the year. But not enough or in an orderly fashion. It’s been two years of Tijuana Adventure and I’ve been doing a bit of everything. All the tours have been awesome. With wonderful people, eating and drinking amazing food and getting all merry. However, it is time to grow as a tour guide and as an individual. I have figured out that my best bet is beer and food. 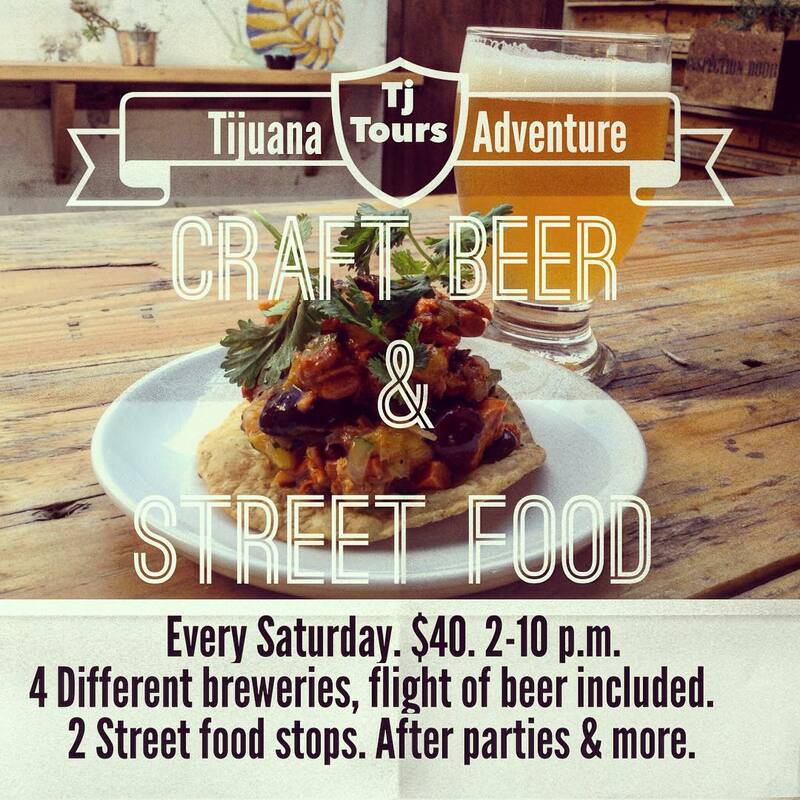 I still take people to other places in Tijuana, but now, every Saturday, will be a brewery/street food tour. Check out my poster for the first edition, September 26th. This is a walking tour of Tijuana, going through the local hang out spots, visiting hidden breweries and street food gems that only a city expert knows about (not even locals find these places). The tour includes a flight of beers in each brewery or a full pour (your choice). Two food stops on your own expense but I promise it won’t go over $10. To book the tour, contact me via email! My tours will still be SMALL of no more than 10 people per tour. But I am proud to announce that I am finally getting around to setting up an actual tour. I will start paying attention to my website, doing some advertising and looking for more customers AND posting on the blog! Expect a post every other Friday. NextBrewery and Street Food Tour November 24th.